Commercial flood insurance is vital for Florida businesses, especially those in coastal or flood-prone regions. Standard commercial insurance policies do not cover damages that occur as the result of flooding, and unfortunately, many business owners learn they need to buy flood insurance when it’s too late and the damage has already been done. Commercial flood insurance can help protect your commercial property, and it can also cover the loss of equipment, inventory and more. 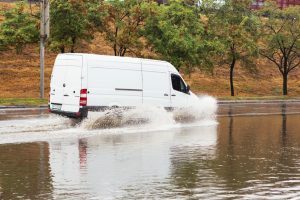 Hundreds of businesses have suffered catastrophic losses from floods, and those who have been armed with a strong flood insurance policy have often made their way out of the wreckage to go on to enjoy many years of business success. Others are less fortunate and lose everything to a single storm. Don’t let that happen to you. Request a quote for flood insurance today. At Five Brothers Insurance, we can provide you with several quotes from the world’s most trusted insurance carriers, and we will work closely with you to ensure that you locate the policy that is right for you and your business. We won’t try to sell you on policy add-ons and options you don’t need. Instead, we learn about your coverage requirements, budget and more to provide you with custom quotes designed with you in mind. Five Brothers Insurance can also provide your business with nearly any other commercial insurance policies you might need, in addition to a wide range of personal policies. That’s why more and more Florida residents and business owners choose us for all of their insurance coverage needs. If you own a business in Tampa, Orlando, Clearwater, St. Petersburg, Lakeland or beyond and need to buy flood insurance for your home or business, turn to the experienced agents at Five Brothers Insurance today. We are personal and commercial flood insurance experts and look forward to providing you with the answers to your most important questions and offering you affordable policies that can help protect your business when you need it most. Contact us now to get started!